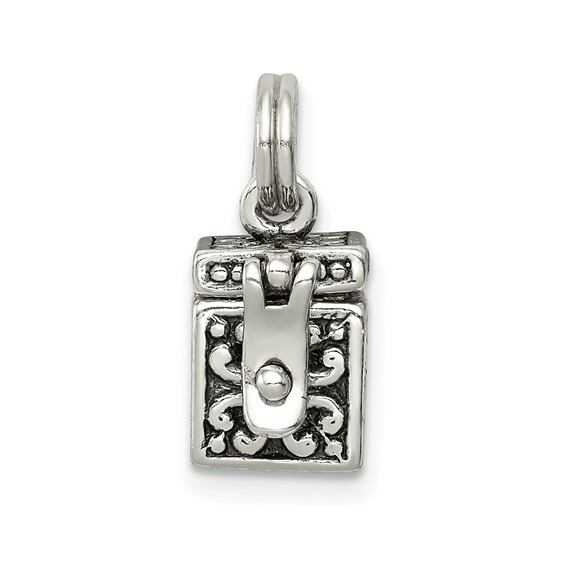 Angel box charm is made of polished sterling silver. Weight: 2.9 grams. Measures 5/16 inch tall by 3/16 inch wide without bail. This item is smaller than a dime. Chain not included. The box (with an angel on it) actually opens, so you can put a little note in it. It's very unique.